One campus. Two museums. Free admission. 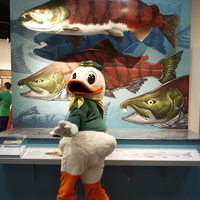 The Museum of Natural and Cultural History and the Jordan Schnitzer Museum of Art offer free admission during UO Ducks home game weekends throughout the 2018 football season.